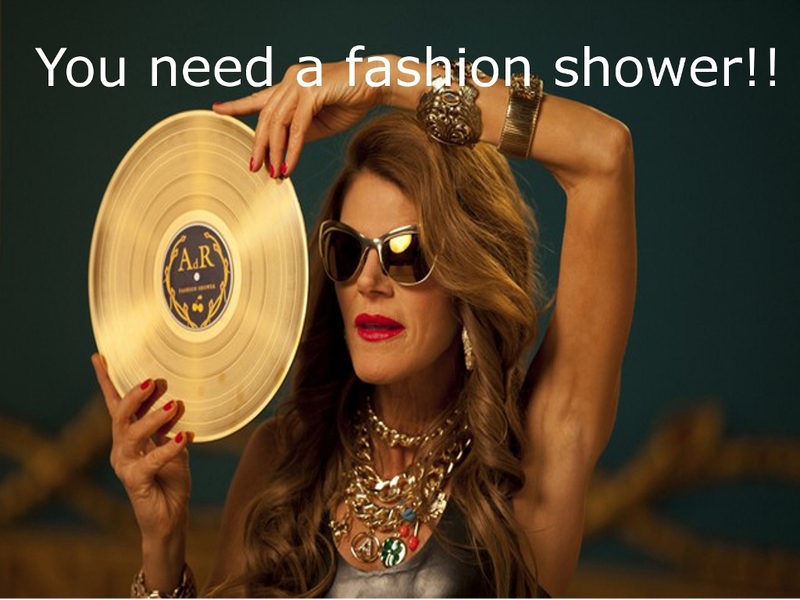 Anna Dello Russo music video 'Fashion Shower' launched yesterday. Not in the charts, even if she said more than once that she would like to sing and create a music album. Anyway. The video is a promotional one for her forthcoming accessories collaboration with H&M that is launching on October 4th. Most of the comments that I read online are negative and bash her style and the video itself. I agree that it is trashy, over the top and not classy BUT I believe that if you don't know her style and her vision of fashion you obviously don't get the 'Fashion Shower' video. I've been following (and loving her) for a long time now and I even had the chance to see her personally twice during London fashion week. Both during a Michael Van Der Ham show last year and in Febraury at the V&A I saw that how she appears to be in pictures it's the real Anna...I mean she really believes in what she says about fashion, she really loves fashion and her work. This is not a crash course about her but I'm just trying to point out the good points of the video. - The Fashion rules that she declares are quotation of herself. She had been 'dictating' those rules in almost every interview you find online. - The accessories that she flashes during the video are H&M and in trend with the Baroque trend that is in the shops at the moment. - She may not be young and a model but she's herself and far from being skinny, she's healthy and fit (she does yoga and swimming). Io non la amo come te e la trovo eccessiva e piuttosto trash, ma condivido con te i punti a favore che elenchi. Mi sta simpatica, in fondo, e per la sua personalità così eccentrica la stimo, anche. Non condivido nessuna delle sue lezioni di moda ma mi fanno sorridere parecchio!